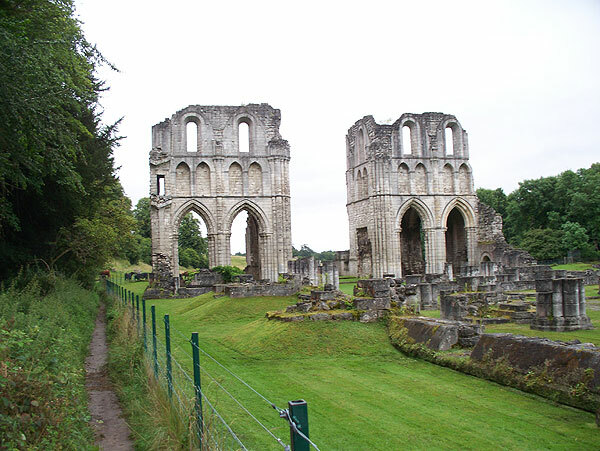 Roche Abbey was founded in 1147 and housed Cistertian monks till it was dissolved on the orders of Henry VIII. The buildings were despoiled in 1538, but the walls of the north and south transepts remain impressive, and low walls remain elsewhere. The remains of a gatehouse stand beside open ground in front of the main site. A fee is payable to walk on the site but the standing walls can be seen from a path running alongside. Access to the site is by a steep, narrow and bumpy lane, navigable by car. 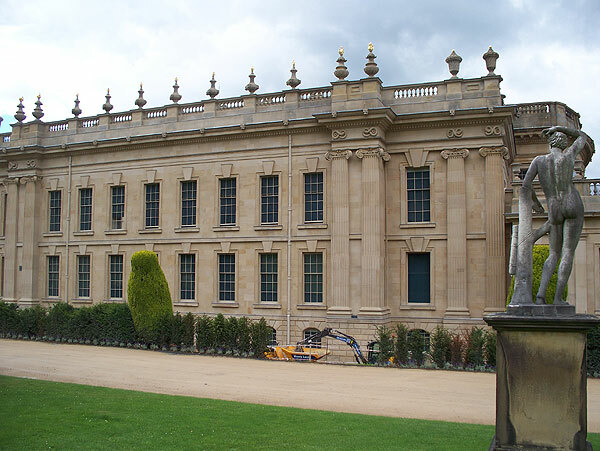 A house was built at Chatsworth by Bess of Hardwick, and the house was rebuilt and extended by her descendants, the earls and dukes of Devonshire. In its present form it is not so much a house as a ducal palace. The house is built around a central square courtyard, on three principal floors. On the first floor is a series of opulent staterooms. 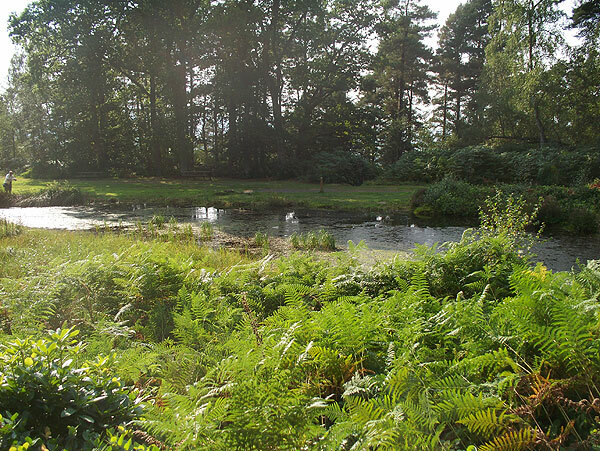 The grounds are large and contain a variety of features from a cascade to a long pond with fountain, a maze, greenhouses, lakes, woods etc. 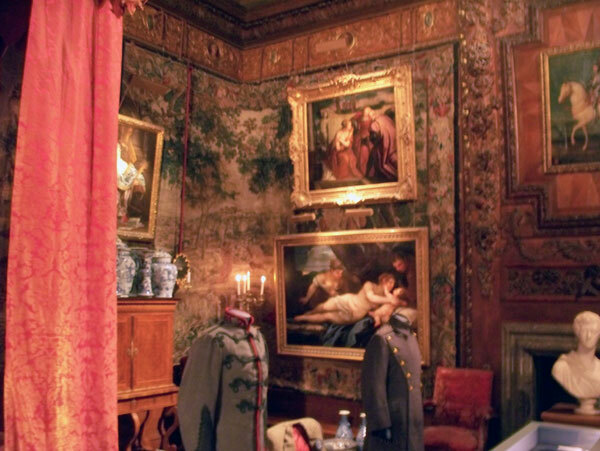 When I visited most of the main rooms were occupied by a costume exhibition, and the objects restricted the view of the interiors in places. 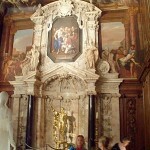 The North Wing with sculptures was very dimly lit by electric candles. Seemingly this mimics a past Duke’s preferred way of showing it after dinner. Elsewhere was an exhibit about an 1897 fancy dress ball in London, with aristocrats dressed up as nobles from pre-1815. It must have been amazing. 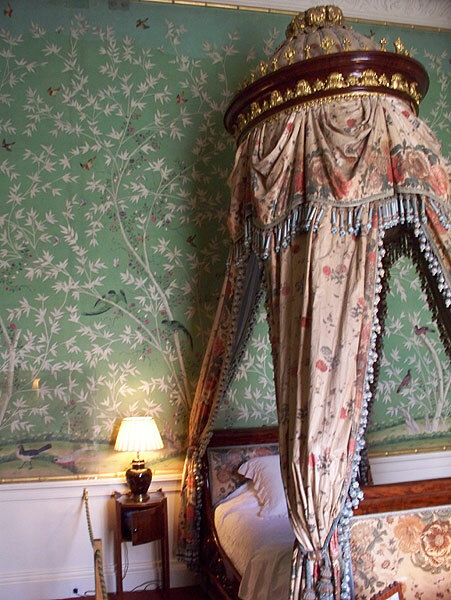 Many of the rooms are extremely ornate, with tromp d’ oeil paintings applied to walls and ceilings and lots of decorative carving. The greenhouses in the gardens have limited access. 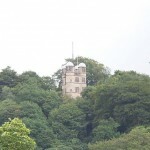 The prominent hunting tower is a holiday let. It took me two hours to walk around the house, and some more time just to walk to one extremity of the gardens and back. 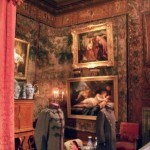 If you want to see everything Chatsworth has to offer and have a lunch break, I would suggest an all-day visit. 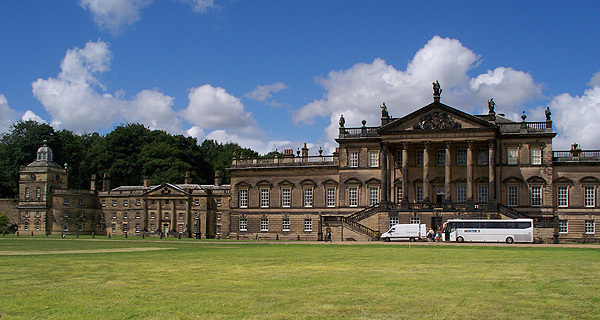 The Baroque western range of Wentworth Woodhouse was begun in 1725 for Thomas Watson Wentworth. However before this was finished, a new East Front, in fact an new house facing the other way, was commissioned. 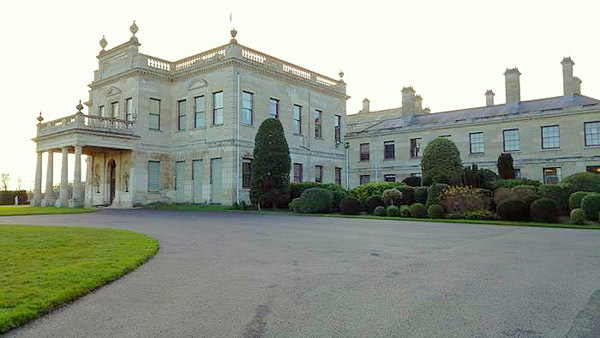 The house is said to be the largest private house in England and to have the longest frontage in Europe. 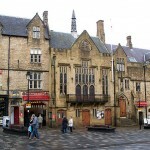 For many years, 1949-1979, the east front was leased to West Riding County Council and housed the Lady Mabel College of Physical Education. 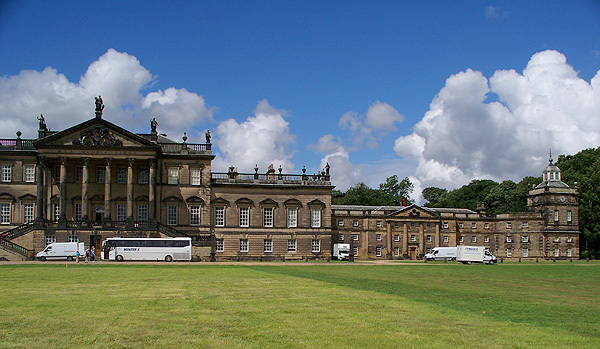 After several changes of ownership and attempts at preservation, the house was acquired in 2017 by the Wentworth Woodhouse Preservation Trust for £7 million. The Treasury has promised £7.6 million for subsidence repairs, but millions more are claimed to be needed. 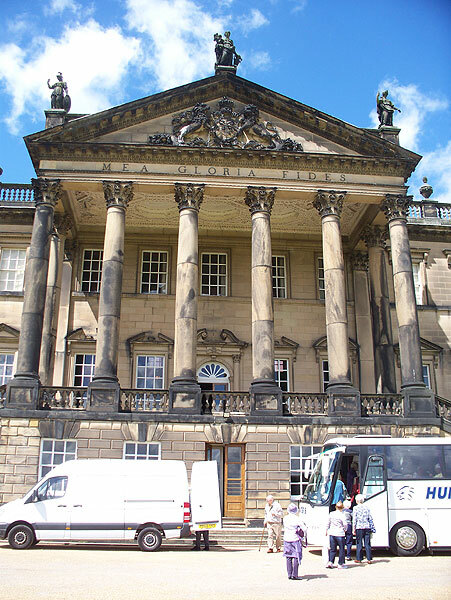 I went to Wentworth Woodhouse on a tour organised by JustGo Holidays. 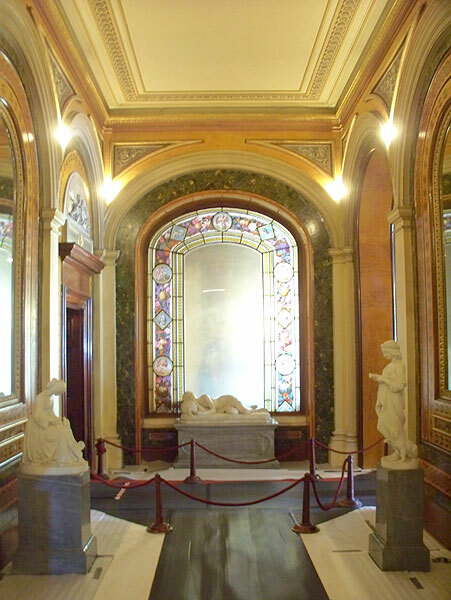 We had guided tours of the state rooms of the central East block on two floors. IIRC we saw the Pillared Hall, rooms through to the Low Dining Room, then up to Chapel, and other east front rooms including the Marble saloon and grand staircase. 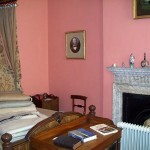 The rooms are in quite good condition and some are fully redecorated. The whole house consists of several blocks -the long east front, the west front and a service block behind the north end of the east front. More of a housing estate than a house, it has around 350 rooms and 150 times the floor area of the average British house. There are no gardens on the east side. 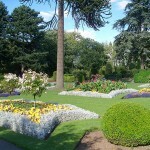 The west side, where the owners lived, and the gardens are accessible on some of the tours, according to the WW website. 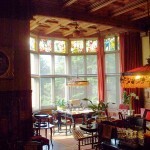 We were not permitted to photograph the interior, but some pictures and floor plans can be found online. The land to the west and south was dug up by open-cast coal mining to within yards of the house in the 1940’s. An example of class warfare conducted my energy minister Manny Shinwell. 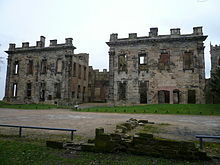 Several monuments and a grand stable block exist in the lands around the house. The house stands at the edge of the small village of Sutton Scarsdale, on top of a hill. The present house, the fourth to stand on the site was built in 1724-29. 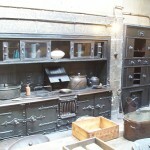 It contains elements of the earlier houses. 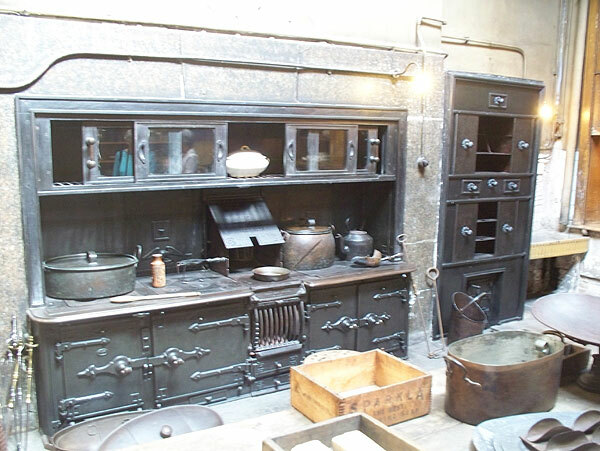 In 1919 the house was sold off and bought for architectural salvage, being stripped of all moveable parts including the roof. 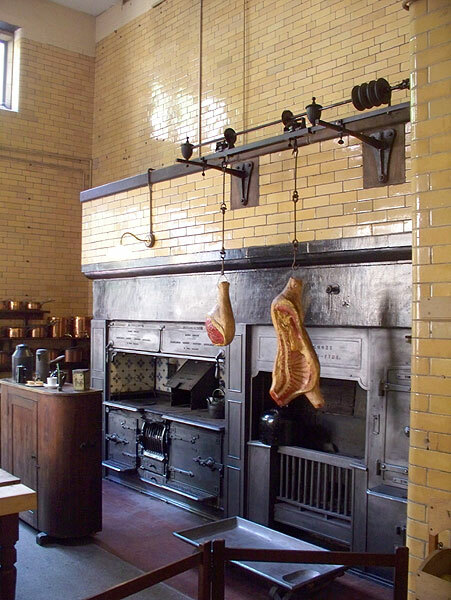 Some room interiors ended up in America and were used as movie sets. 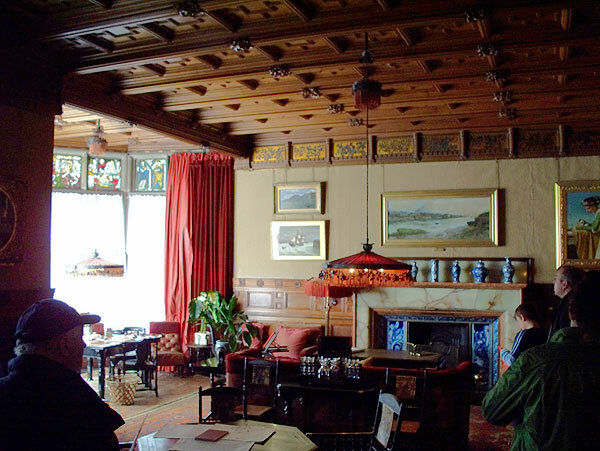 Before 1919 the house, as shown in surviving photographs, had impressive interiors and plasterwork. Today it is a sad-looking ruin in need of stabilisation. 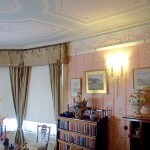 None of the internal walls retain plaster other than a few fragments of fine moulded plasterwork in the principal rooms. No trace of the gardens remains. A church stands a few feet from the house. Apparently the church is still in use. Visiting – you can park behind the house after driving down a lane. There is no charge, but when I visited the house was surrounded by Heras fencing and there was aluminium scaffolding inside the walls, restricting views. Nostell Priory & Parkland, Yorkshire. Nostell Priory was built in the 18th century on the site of an earlier house. Nothing of the medieval priory now remains. The house has a symmetrical plan with a colonaded extension to one side. 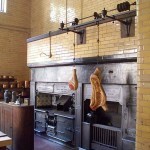 The kitchen block is set back and connected by a link corridor. Entry is into the lower hall, dimly lit and filled with dark furniture. 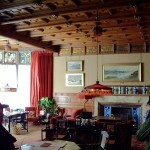 The formal rooms are all on the floor above. 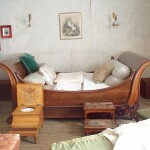 A doll’s house exhibit is in a room on the top floor. 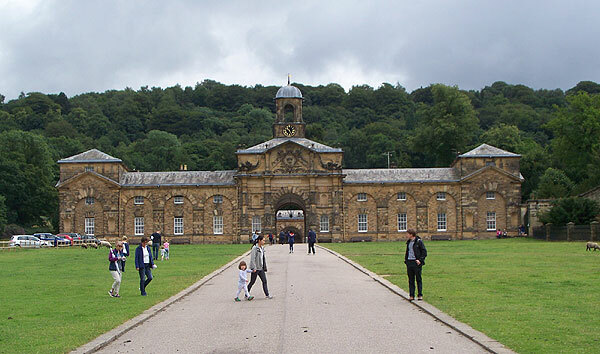 Outside, a large stable block houses the usual visitor facilities. Passing through the stable block you can access the rose garden and the former walled garden, and the lakeside walks. The lakes are beautiful. Note that the paths do not allow a complete circuit of either of the lakes. In front of the house is extensive parkland. 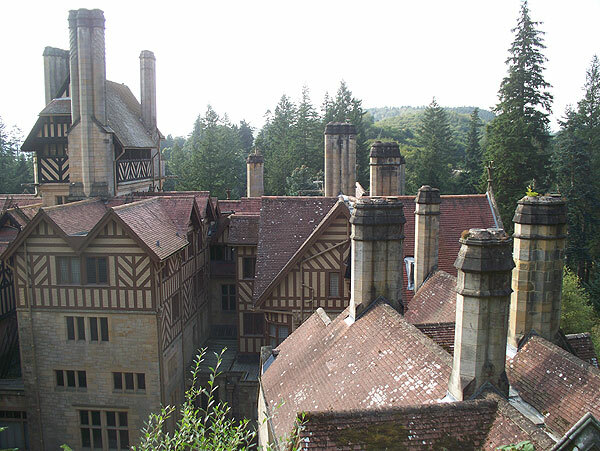 Visiting – there is a £3 parking charge for non members of the National Trust. There are entrance charges for the house and rear gardens. 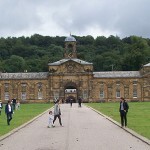 There is no charge for entry to the parkland or stable block. 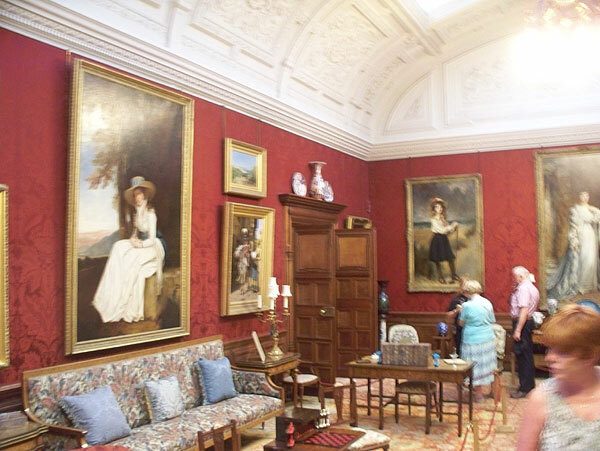 Author visitPosted on October 2, 2016 August 16, 2017 Categories House, National Trust, North, Parks & GardensLeave a comment on Nostell Priory & Parkland, Yorkshire. The full name of the place is, apparently, the Holy Island of Lindisfarne. The low-lying tidal island lies just off the coast of Northumberland, and is connected to the mainland by a causeway that is flooded by the tide twice a day. The island is most famous for its priory, founded during the dark ages and abandoned during the dissolution of the monasteries. St Aidan, St. Cuthbert and the Lindisfarne Gospels are associated with the Priory. 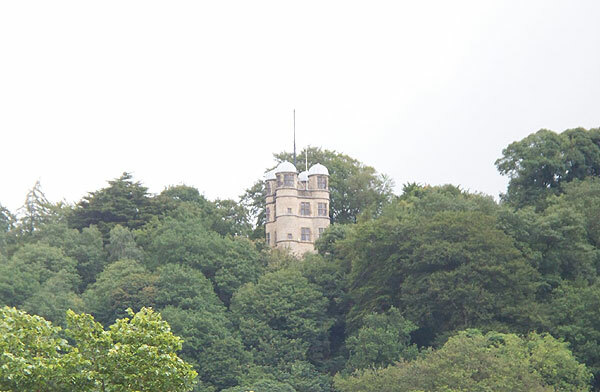 There is also a castle (National Trust) on a rock forming the highest point of the island. 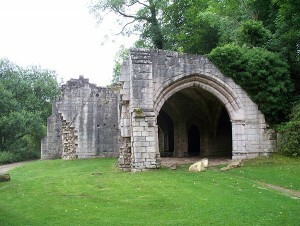 It was built after the dissolution of the priory. After becoming disused as a fort, it was converted into a holiday home in the 1900’s by the architect Edward Lutyens for magazine owner Edward Hudson. The castle is interesting and worth a visit. If you have time, walk out to the Gertrude Jekyll castle garden, and the nearby lime-kilns. The ruined priory (English Heritage) is in the village and can be visited (chargeable). Entrance into the churchyard is free, and it is worth looking inside the adjoining church. Among other things, it contains a striking wooden sculpture of six monks carrying a coffin. There was another fort next to the harbour, but only a few fragments of wall now remain. Visiting – there are boat cruises to the island, or you can drive there. Beware the tides, which restrict when you can come and go. Be aware also that the police and coastguard take a dim view of people who ignore the warnings and get themselves trapped on the causeway by the incoming tide. There is a village on the island, with the usual amenities. Author visitPosted on October 2, 2016 Categories Castle, English Heritage, National Trust, NorthLeave a comment on Lindisfarne/Holy Island, Northumberland. Alnwick Castle is a large and imposing castle with a curtain wall and central keep, and adjacent to it are impressive gardens which have recently been reworked at great expense. 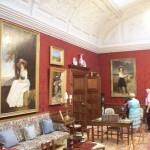 The original castle was founded by the Normans and has been extended and altered several times, the last two phases of alteration giving it Gothic interiors (designed by Robert Adam) succeeded by opulent Italianate interiors which replace Adam’s work in the State Rooms open to the public. 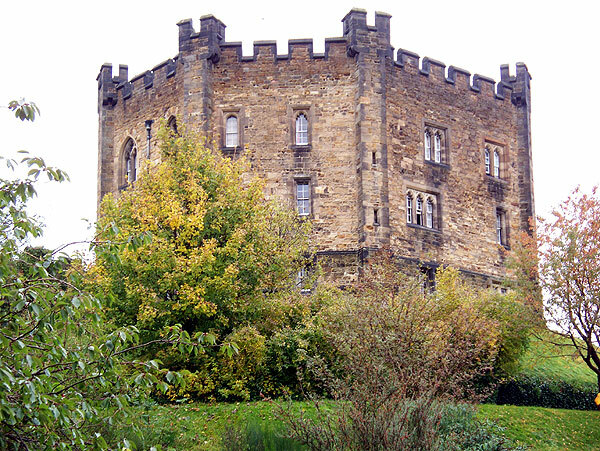 The castle has a complex history of sieges and occupations, and since 1309 has been in the hands of the powerful Percy family, and the Earls and Dukes of Northumberland. The outer parts of the castle contain several towers with small exhibitions which are all worth a look. The keep contains the State Rooms which should not be missed. 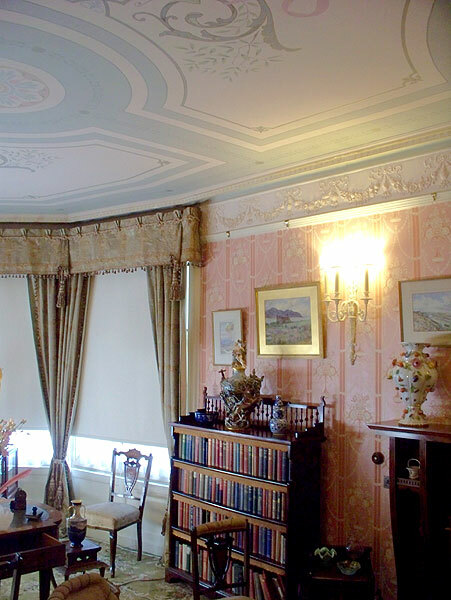 The carved and gilded wood ceilings are exceptional and the furnishings are luxurious. Don’t miss the pair of fine pietra dura cabinets, adorned with pictures worked in stone and supported on animal legs. Their value is unknown, but unless you are a Russian oligarch you could not afford them. If you are into period china, don’t miss the China Gallery, a long narrow gallery at the exit side of the state rooms, lined with hundreds of fine pieces. The castle conforms to the popular idea of what a castle ought to look like, and has been even more popular since its use as a location for some of the ‘Harry Potter’ movies. 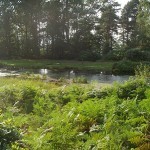 The Gardens are a separate attraction, established fairly recently at the eye-watering cost of £42 million. They do boast an expensive-looking computerised cascade, a pleasant walled garden with flowers, an interesting Poison Garden, as well as nine stainless steel fountains which produce curious effects with water. There are also arbors, round pools with fountains, tea rooms, and a maze. I found the Poison Garden tour of particular interest. 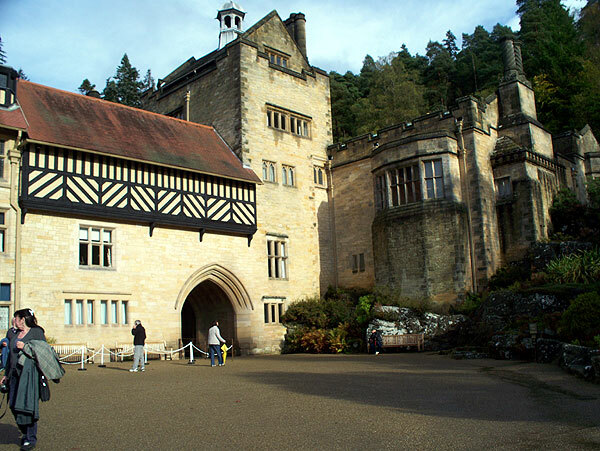 Visiting – there are separate prices for the Gardens and Castle, and combined tickets. Prices are high, but one inside you probably will not be disappointed. 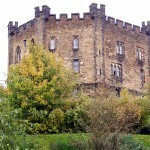 HHA members may get into the Castle free while English Heritage members get a discount (Castle only). If viewing both, allow time for at least a half-day visit. Click on images to enlarge. Photography inside castle was not permitted. 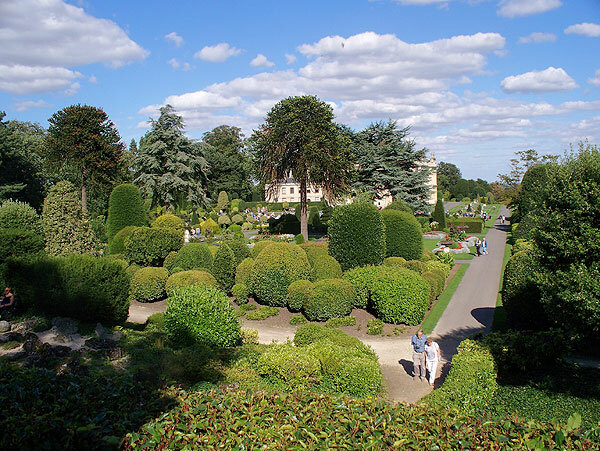 Brodsworth Hall was built for Charles Thellusson in the 1860’s, and the gardens were laid out at the same time. An existing house on the estate was demolished. The house has a symmetrical plan with a lower servants’ wing projecting to form a T-shape. 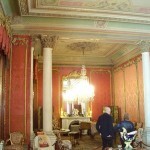 Internally, the house has an impressive Italianate hall and reception rooms. 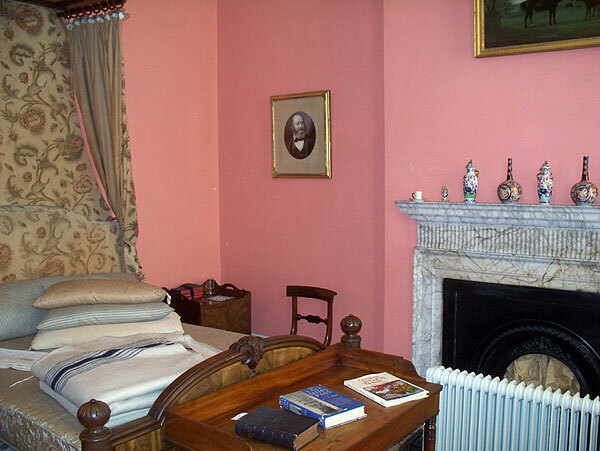 The family and guest bedrooms are comfortably furnished while the servants’ wing is much plainer. The house and its contents have not been radically changed since it was built. 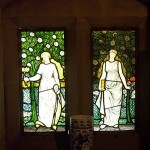 Instead, the house suffered a decline in the 20th century as the family became less able to maintain it, and it was given to English Heritage in 1990. 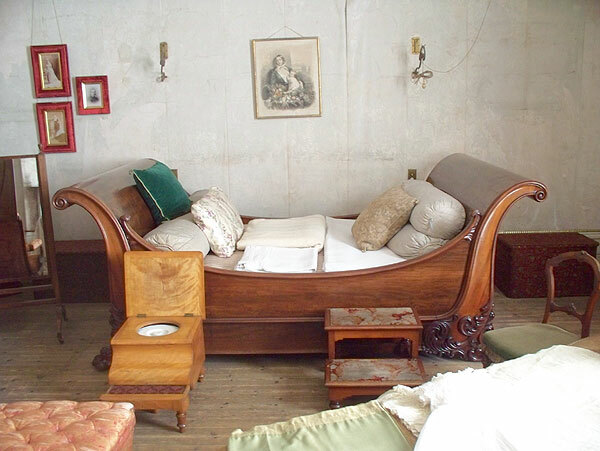 By this time the house had suffered from rising and descending damp and general neglect. 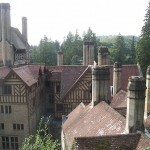 English Heritage’s policy has been to carry out urgent repairs and conserve the house as found rather than ‘restoring’ it. 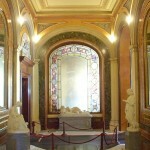 Almost all the rooms are accessible to visitors. 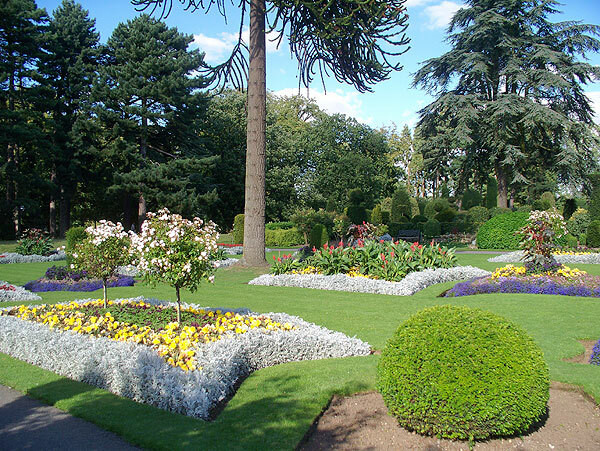 The gardens, very overgrown in 1990, have been cleared of overgrowth and restored to more or less the Victorian plan. 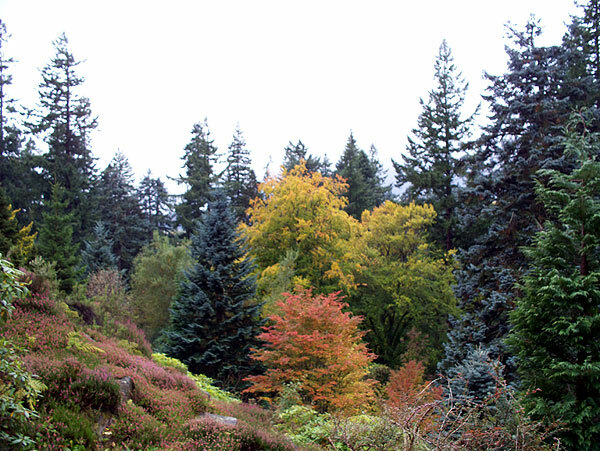 They contain formal areas, rockeries, lawns, trees and other features and are well worth a visit. 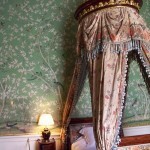 When I visited, parts of the interior were covered up while another round of conservation was in progress. 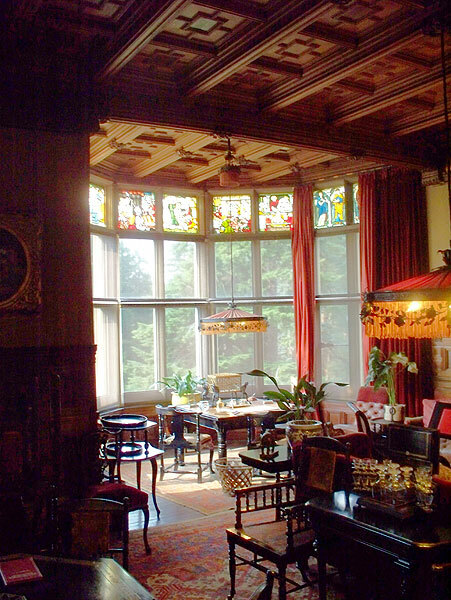 Cragside was bought by the Victorian industrialist and arms manufacturer Willian George Armstrong, and the house was greatly extended between 1863-1884. Externally, the house is a jumble of English baronial styles, with mullioned windows, battlements, decorated barge boards, shouldered gables, tall decorated chimneys, steep roofs, and mock timber-framing, and has an irregular outline. 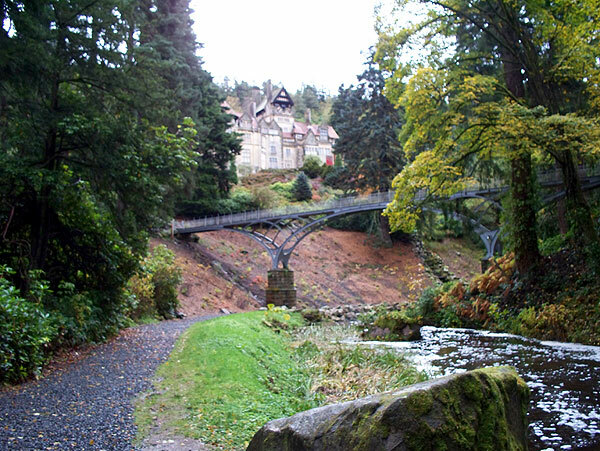 Inside it has a number of unusual features incorporating Armstrong’s ideas, often very advanced for the time, including a water-powered spit turning mechanism, electric lighting from a hydro-generator on the estate, a hydraulic powered lift and a sauna suite. 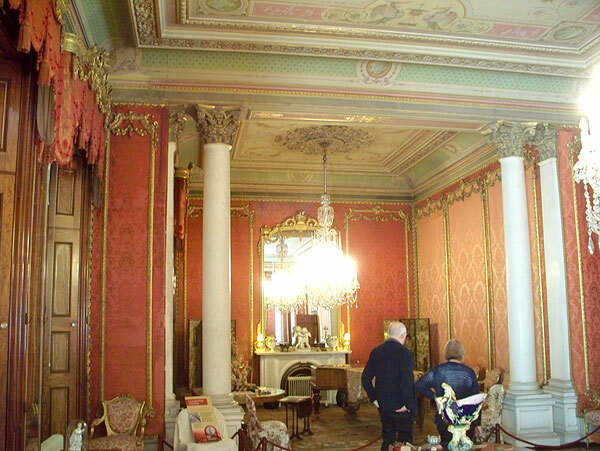 There are several rooms with elaborate Victorian interiors. 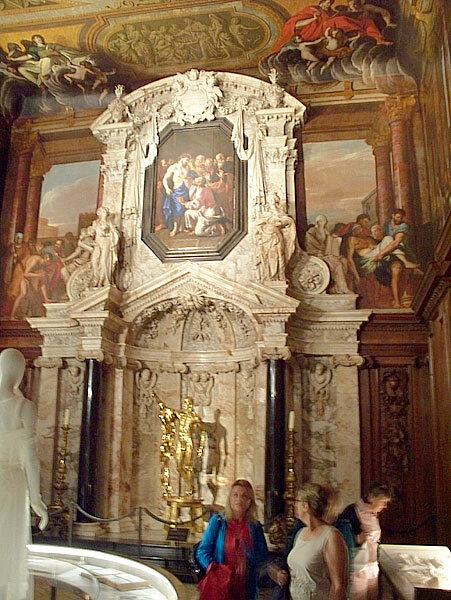 The large drawing room, finished in a Classical Renaissance style, has a vast chimney piece, elaborately carved in marble. A long gallery is lined with pictures and other objects. 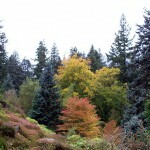 From the house, there are spectacular views over the woodland below. 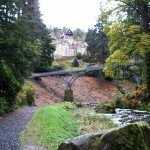 A rockery garden plunges down to a stream and an arched metal bridge. 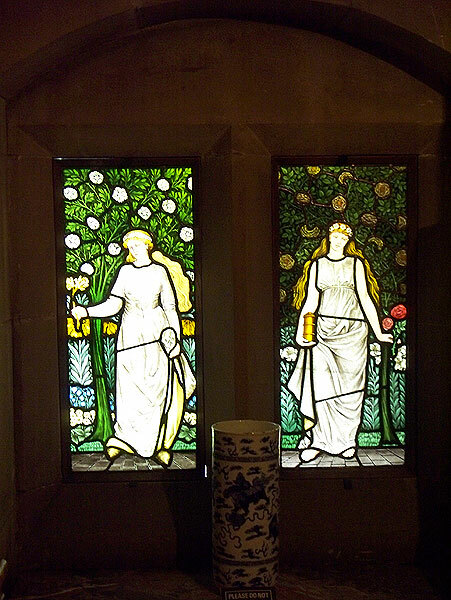 Out in the estate there are several of Armstrong’s installations to visit, and 40 miles of footpaths to explore. 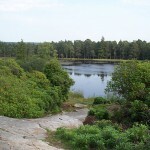 You can walk to the pair of lakes above the house and back in an hour or so, but the signposting on the paths is vague and the climb is steep. The exhibition centre & tea rooms are next to the lake visible from the entrance. 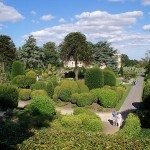 The formal gardens are 1/4 mile from the house, or from the main car park. The’re quite pretty but could be skipped if you are short of time. A ‘hopper’ minibus provides free transport around the above-mentioned ‘near’ parts of the estate for those who have difficulty in walking. You can drive your car around a 6-mile one-way circuit to access the ‘far’ parts of the estate. 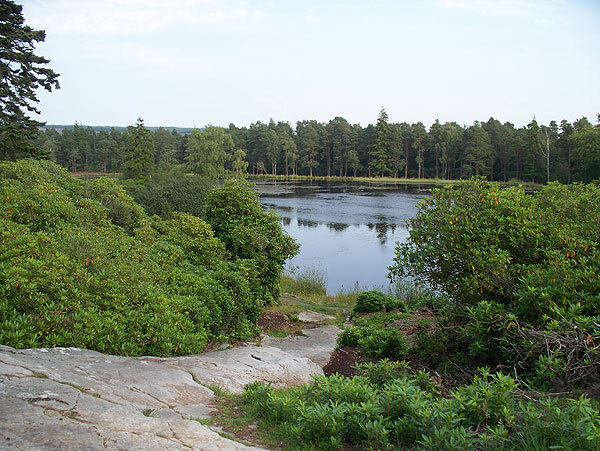 Cragside is a clear candidate for an ‘all day visit’. 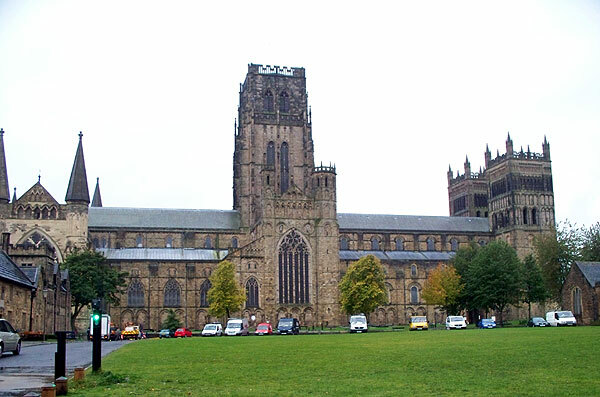 Durham Cathedral is the most prominent of the buildings in the old centre of Durham – a peninsula of high ground surrounded on three sides by the looping River Wear. 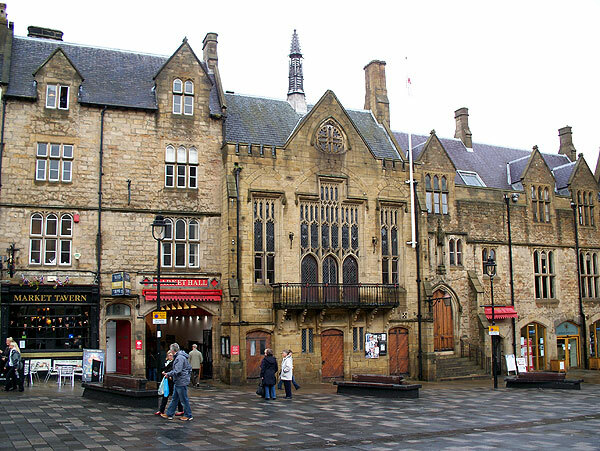 Also here are Durham Castle, various buildings associated with the cathedral, and streets lined with old stone buildings. When built (to house the relics and shrine of St Cuthbert), the cathedral was part of a monastery, and many of the typical monastic components either survive (like the cloisters) or their remains are incorporated in buildings serving later functions.